This picture circulated around the internet in 2003 depicting hurricane Isabel. It turned out to be not Isabel though it wasn't a fake picuture. 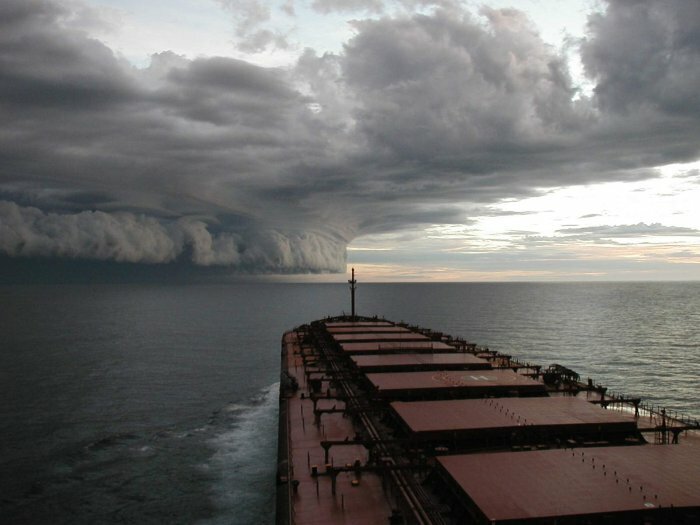 According to Urbanlegends.com it is "a supercell thunderstorm rotating around the decaying part of Cyclone Graham, which was off the northwest coast of Australia this past February." Another 'fake' picture is shown at snopes.com.